January 12th, 2012: Have you ever wondered how cool it would be if you had amazing magical powers??? Nick India’s very own magical buddy, ‘Keymon Ache’ – the coolest dude is back with all new episodes! 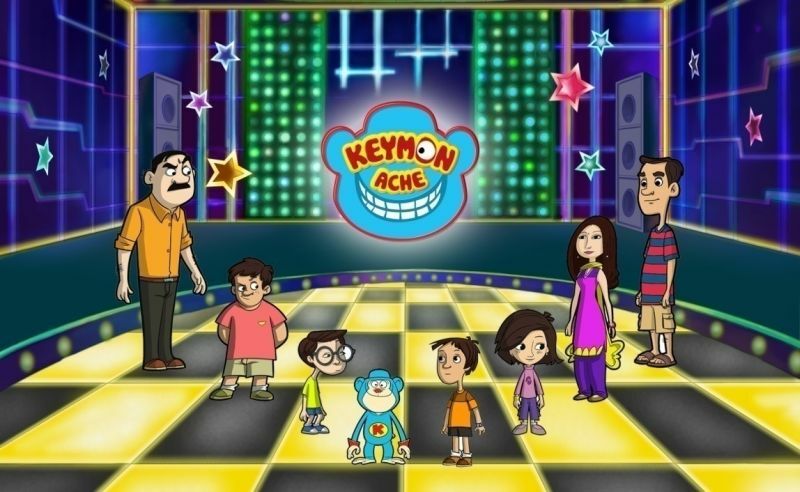 Nick India is all set to kick start the New Year with Keymon Ache, everyday @ 6.30pm! This year, Nick gives you a chance to meet your cool buddy – Keymon Ache in person! As we all prepare to stick to our New Year resolutions, our ‘dude’, Keymon, will make his New Year resolutions on TV. All that viewers have to do is watch Nick every day between 6:00 pm and 9:00 pm and spot his resolution and send in their answers! The winner gets a chance to invite Keymon to his home, share their resolutions with him and win amazing Nick goodies! To engage its viewers, Nick India will also carry the contest on its official Facebook page (facebook.com/nickindia). Kids can share their New Year resolutions and the best one will win some amazing prizes. The winner’s photo and resolution will be posted on Nick India’s website as well as Facebook page! Keymon Ache is based on the extraordinary life of an ordinary 9-year-old boy Rohan Tendulkar, accompanied by his set of magical toy friends! Based in a contemporary setting with exciting slice of life situations, the show has strong messages of friendship, family values, honesty and morality, yet holding on to the flavor of young humor at its best! Keymon Ache, being Rohan’s closest and craziest buddy, brings loads of fun in his life with tons of mad antics. Keymon helps his friend Rohan live life to the fullest, making every moment a special one.